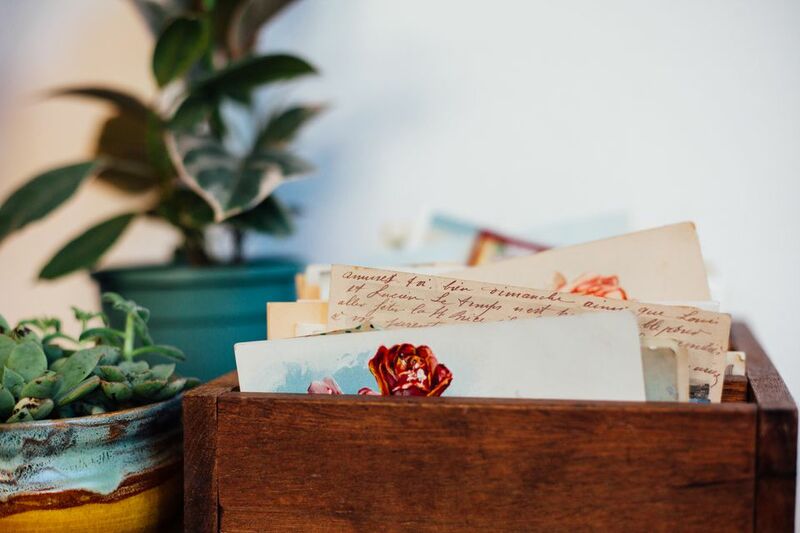 Even if you’ve never heard the term “sentimental clutter" before, you probably have some in your home. Just look for the objects you’ve assigned a sentimental value to, but that you don’t need, don’t use, and perhaps don’t even like. Of all the habits that cause people to hold on to clutter, an emotional attachment to gifts, souvenirs, and inherited items is one of the hardest to beat. But difficult as it is to give these things up, you are not required to keep every birthday card, paper drink umbrella, and bridesmaid dress that you accumulate throughout your lifetime. Here are ten ways you can actually feel good about parting with sentimental clutter. When evaluating an item, ask yourself: what precisely am I sentimental about? Chances are, it’s not the object itself but its association with a person, place, or time. You will retain that memory without a physical object to remind you. If you truly love the object itself, however, then it’s not clutter. Many people hold on to gifts because they imagine the giver will expect to see them displayed when they visit. In reality, the giver might not expect that–and even if they do, that expectation isn’t fair. A gift is yours to do with as you please. People often keep items not out of love or nostalgia, but guilt. And guilt is an entirely unhelpful emotion (Unless, of course, you’re feeling guilty because you lied or cheated or robbed a bank). Don’t indulge feelings of guilt when evaluating sentimental clutter; you may legitimately feel bad about a situation or relationship, but you won’t remedy that by keeping your great-uncle’s hideous lamp. When dealing with documents or photographs, assuming you don’t need the originals, scan and save them–back them up carefully, of course–rather than boxing them up. Three-dimensional objects can also be virtually preserved. You don’t need all your children’s old toys if you have photos of them playing, and you can take photos of your grandparents’ furniture to remember how it looked without physically storing chairs and tables you’ll never use. If you live with a packrat who has hoarding tendencies, forcing them to get rid of their stuff will not end well. Instead, try to compromise. Perhaps they can have one room to fill as they please, while common areas of the home are kept clutter-free. Maybe you’d agree to display a few significant items in exchange for them giving away the rest. Over time, as you let go of your own clutter, you may inspire others. People get used to a neat and tidy home and want to keep it up. If you receive a collection of documents and photos after the death of a relative, you may feel obligated to treat it with special respect even if you don’t want it. Depending on who the person was and when and where they lived, the collection might be of value to an archive or local history museum. Don’t just dump your clutter on an unsuspecting organization, but do research to find out whether such items might be welcomed by them. When dealing with family heirlooms, your trash might be your second cousin’s treasure. Before getting rid of an unwanted inherited object or stashing it in storage, ask around to find out if someone else in the family would love to have it. To hold onto your connection with an unusable item, create something new that retains its sentimental value. A stone from a dated ring can be re-set into a band that’s more your style, and a board from a dresser that won’t fit in your apartment can be transformed into a floating shelf. My grandmother owned a cornucopia of fake fruit. When my mom ended up with it, and its associated memories, she didn’t want to simply give it away. Eventually, she found the ideal solution: keeping a single faux lemon. Choosing one or two keepsake items to represent a collection, person or era can allow you to let the rest go. If you’re torn between discarding a sentimental item and storing it in your home forever, remember that there’s a third option: donate it to someone who really needs it. Maybe you even have a friend who would really use and appreciate the item–that way you can be sure it’s going to a good home. No, don't go out and buy a ton of scrapbooking tools and crafting supplies. Just grab a simple, unlined notebook and a glue stick. Then start gluing in any paper or pictures you want to hold onto. You can make notations in the columns, put down notes, etc. This is a good way to preserve memories without taking up too much space. Think of it like a baby book for adults.